Kumkum Bhagya new episode is out. Abhi finds Tanu in a restaurant where Pragya had bought her to had a dinner with client. Did he catch her red-handed? See what happened next. The episode begins with Abhi going to Tanu and takes her off from the restaurant. He asks is she spying on him? Indu Dasi returns home and Tai ji greets her. Mitali asks did she get any gifts. Dasi says yes and asks about Tanu. Mitali says Abhi has gone with Pragya to get her signatures and then suddenly thinks she might be revealing a secret. She says Abhi might be signing some international contract. Mr and Mrs Luthra asks Abhi and he signs their contract. Mr. Luthra says he will be in Godh Bharayi function. 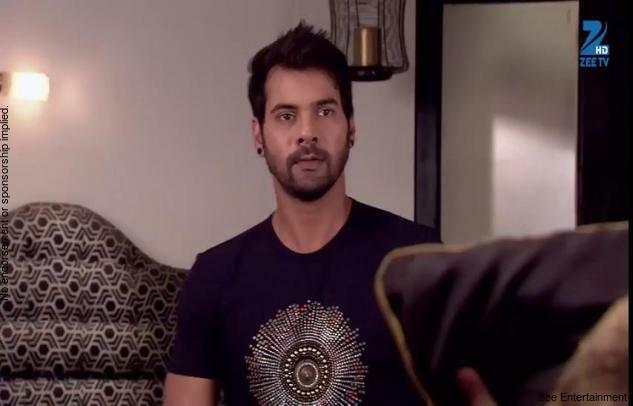 Pragya stops Abhi while leaving and asks him to have a drink on his victory. Aaliya calls Tanu and asks did she get the signatures or not. Tanu says she failed as Abhi didn’t manage to get her signs. Aaliya says she will not support her if she fails in this and asks Tanu to blackmail Abhi emotionally. Tanu worries and thinks to do something. Dasi comes to Aaliya and asks why does she want to hurt Abhi. Aaliya says she saved Abhi’s baby. Dasi says that is your trick to enter the house and warns her to be away. Pragya looks at the drink and says this is strange and Abhi says maybe this is a cocktail. Pragya gets drowsy and waiter comes and says he served hard drinks. Abhi scolds him and Pragya asks him to get another drink. Abhi holds her and she says Mrs. Luthra asks her to send a pic in pregnancy. Pragya says she couldn’t tell her the truth. Abhi asks can’t she get pregnant and Pragya says his pic is in my heart. She stares at him lovingly and Sanam Re plays. Tanu comes there and tries to emotionally blackmail him. Pragya makes her sit on her lap and Abhi takes her side. Tanu says baby kicked just now and Abhi asks is she fine. Tanu asks him to stop showing fake concern and asks him to get the signatures asap. Abhi looks on.